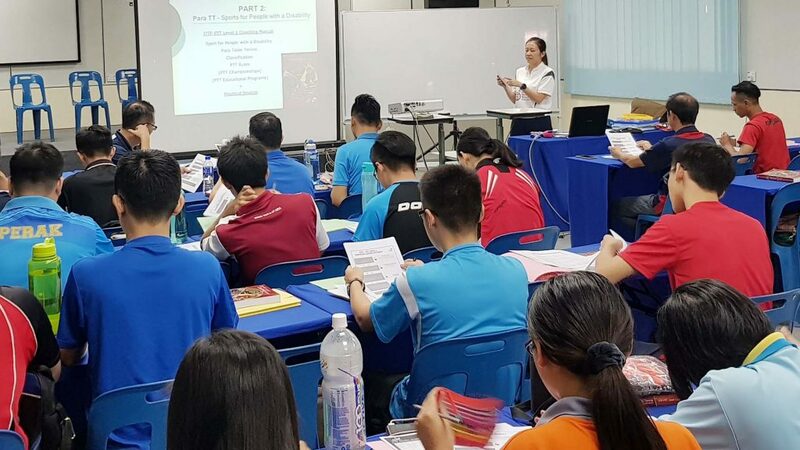 Located in Ipoh, the capital city of the Malaysian state of Perak; Bercham Primary School was the recent home for an ITTF/PTT Level One Coaches Course. Under the direction of Fan Xiao Jun, a former member of the Malaysian National Team, a total of 28 students, 20 men and eight women, from a variety of backgrounds were present. The group included 12 teachers, seven students, four public servants and two self-employed businessmen, in addition to a banker, engineer and salesman. Overall seven tables and some 400 table tennis balls were used in addition to a pair of crutches and two wheelchairs for the Para element of the course. 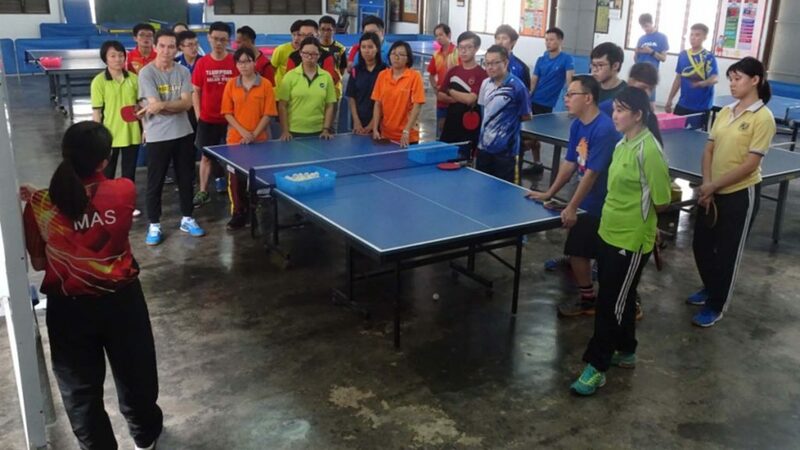 A positive response from Fan Xiao Jun; it was the same from the course participants; notably Mr Sim, the Secretary of the Perak Table Tennis Association was delighted. Likewise, there were upbeat responses from Ms. Lai Hui Ling and Mr Siah Choon Shong, both teachers. “I am very grateful to the course conductor for her patient teaching. This course taught me a lot. Now I know that ping pong is not just as simple as “tik tok tik tok” but includes all kind of techniques and scientific principles.” Lai Hui Ling. “Thanks for the knowledge, theoretical and practical, given to us during the course. I have learned a lot and I will apply it when I teach my students in school. 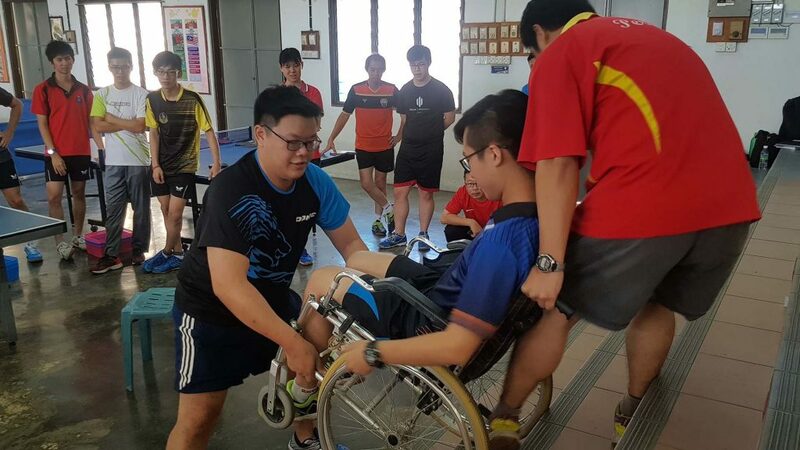 I can improve my coaching style and improve my pupils’ skills in table tennis with the knowledge that I gained during the course.” Siah Choon Shong. Equally, those not in the teaching profession were motivated; in particular Mr. Tham Wai Lok, a salesman and Mr. Ng Chien Yeat, a university student, were enthused. “Thank you very much for the patience in teaching and demonstrating the skills in these five days. I understand more on how to be a ping pong coach, especially in the way of teaching and communicating with beginners. I have also learned how to teach beginners from scratch. I am very grateful to meet such a selfless conductor and thank you for sharing your experiences.” Mr. Tham Wai Lok. In addition Mr Choo Eng Chiang, a University Student, felt that the course was organised; he explained he had learned a great deal. Undoubtedly a most successful course thanks the effort of Fan Xiao Jun but also the those in the locality who had certainly conducted detailed preparation. Notably all 28 of the participants passed the practical test and ready to work on practical hours in order to gain their coaching certificate.